A romantic style handmade lamp. The base is crafted of apple wood with lampshade of natural veneer. 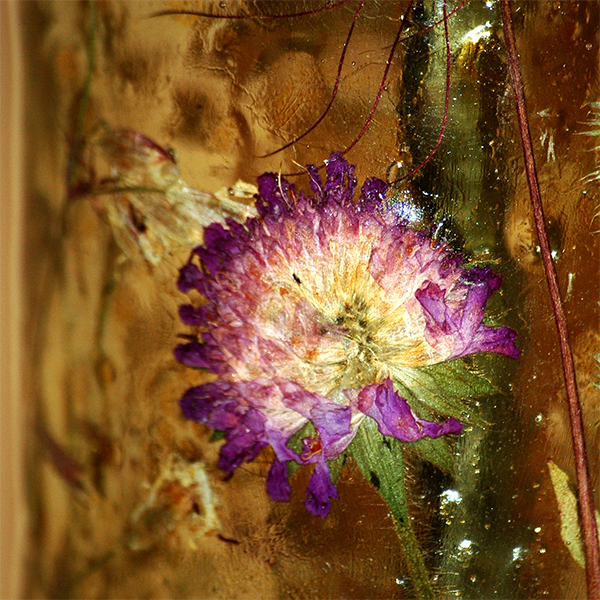 Decorated with insertions of jewelry resin with dried flowers. Both interesting as a gift and as an interior decoration.